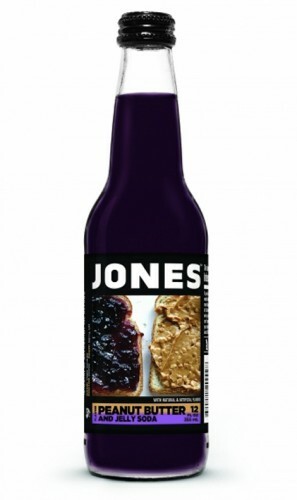 The mashup: Jones Soda—makers of wacky flavors like vanilla bean, crushed melon, and chipotle pineapple—have created a kids’ sandwich-inspired beverage, possibly so they can jump on the Back to School marketing bandwagon. It isn’t the first time they’ve come out with a food-flavored drink; their retired products include strawberries and cream, and a chocolate-fudge soda. 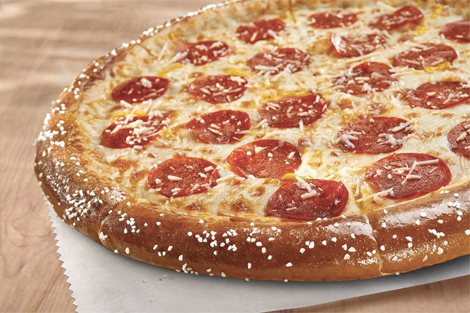 The mashup: On Labor Day, Little Caesars is finally dropping this four-cheese pepperoni pizza with a salted-pretzel crust. It’s an item they’ve had in the works since 2012 that went through various manifestations—cheese sauce, mustard—before reaching this final, tasty-looking incarnation. 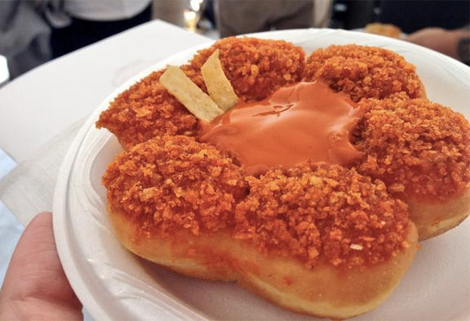 The mashup: Canadian doughnut and coffee chain Tim Hortons created this beast for this weekend’s New York State Fair: a large, pull-apart doughnut covered in Buffalo sauce and tortilla chip crumbs. It comes in spicy and mild versions, the latter tempered with creamy ranch dressing. The mashup: San Diego cookie shop The Cravory did a Dita von Teese this week by Instagramming a photo of a donut with a whole cookie inside of it. The tease part was the caption that said, “Our Chef Derek is having a little fun in the kitchen today! What do you think about this cookie inside a donut!? #cheflife #kitchenfun.” In other words, this is not yet an item you can buy and cram down your gullet while standing over the garbage can counter in your socks.